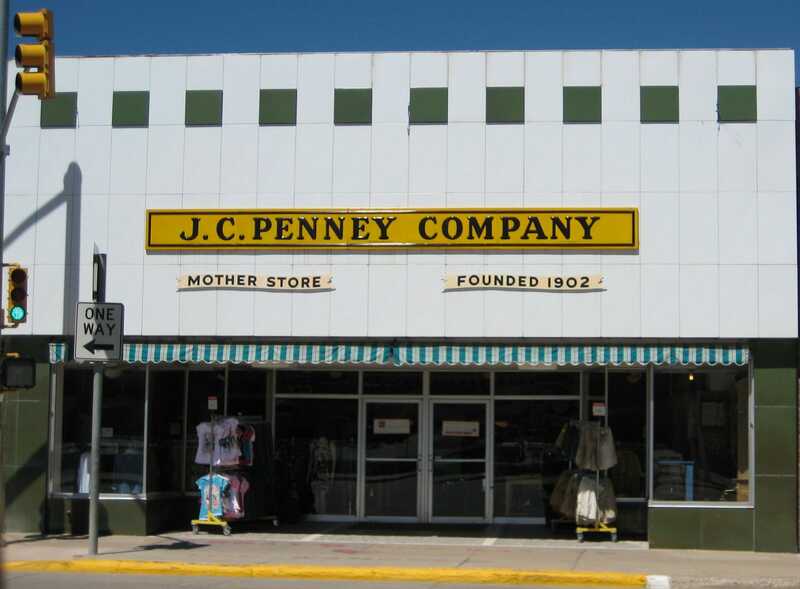 J.C. Penney’s fourth-quarter earnings announcement is out.The company announced an adjusted loss per share of $1.95, way below the per-share loss of $0.24 predicted by analysts. Same-store sales were down 32 per cent in the fourth quarter. Shares are down 8 per cent in after-hours trading. PLANO, Texas, Feb. 27, 2013 — J. C. Penney Company, Inc. (JCP) today announced financial results for its fiscal fourth quarter and full year ended February 2, 2013. For the quarter, jcpenney reported a net loss of $552 million or $2.51 per share. Excluding restructuring and management transition charges and non-cash primary pension plan expense, the Company’s adjusted net loss for the quarter was $427 million or $1.95 per share. 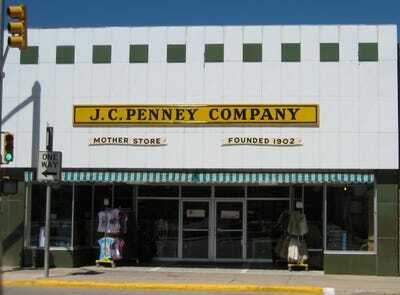 For the year, jcpenney reported a net loss of $985 million or $4.49 per share. Excluding markdowns related to the alignment of inventory with the Company’s new strategy, restructuring and management transition charges, non-cash primary pension plan expense and the net gain on the sale or redemption of non-operating assets, the Company’s adjusted net loss for the year was $766 million or $3.49 per share. A reconciliation of GAAP to non-GAAP financial measures is included in the schedules accompanying the consolidated financial statements included with this release. Total sales for the fourth quarter, which included $163 million of sales in the 53rd week, decreased 28.4 per cent to $3.884 billion. Comparable store sales, which exclude the 53rd week, declined 31.7 per cent. Internet sales through jcp.com were $315 million in the fourth quarter, decreasing 34.4 per cent from last year. Gross margin was 23.8 per cent of sales, compared to 30.2 per cent in the same period last year. Gross margin was impacted by lower than expected sales and a higher level of clearance merchandise sales related to inventory reductions in 2012. The Company’s SG&A expenses decreased $134 million compared to last year’s fourth quarter. Additionally during the quarter, the Company recognised charges totaling approximately $86 million, or $0.24 per share, related to the impairment and write-off of certain store and store-related assets. Operating cash flow in the fourth quarter was $645 million compared to $953 million in last year’s fourth quarter. Investing cash flow was a use of $229 million compared to a use of $455 million in the same quarter last year. Total sales for the fiscal year, which included $163 million of sales in the 53rd week, decreased 24.8 per cent to $12.985 billion. Comparable store sales, which exclude the 53rd week, declined 25.2 per cent. Internet sales through jcp.com were $1.020 billion, decreasing 33.0 per cent from last year. Gross margin was 31.3 per cent of sales, compared to 36.0 per cent last year. Gross margin was impacted by lower than expected sales, a higher level of clearance merchandise sales and markdowns taken during the year to clear discontinued inventory in preparation for new product and brands being introduced as part of the transformation. The Company’s SG&A expenses decreased $603 million compared to last year. Additionally, the Company realised net gains on the sale or redemption of non-operating assets of $397 million and recognised charges totaling approximately $86 million, or $0.24 per share, related to the impairment and write-off of certain store and store-related assets. Despite the impacts of reduced sales and gross margin and restructuring charges associated with the Company’s transformation throughout 2012, full year operating cash flow was a use of $10 million. This takes into account the non-cash nature of a number of restructuring charges, the positive impacts of reduced expenses, reduction in inventory levels, specific steps taken to improve overall working capital, including the realignment of vendor payment schedules of $129 million and a one-time deferral of select vendor payments in the fourth quarter of $85 million. Investing cash flow for the year was a use of $293 million as capital investments of $810 million were partially offset by cash from the sale and redemption of non-operating assets. The Company reduced its debt by $250 million in 2012 and ended the year with $930 million in cash and cash equivalents. During spring 2013, the Company anticipates opening close to 20 shops designated for home products in 505 stores with brand partners such as Michael Graves, Jonathan Adler and Sir Terence Conran, among others. In addition to transforming the home area, the Company will open nearly 700 Joe FreshTM apparel shops on March 15, 2013 as it transforms nearly 11 million square feet of retail space in the spring. At 5:00 p.m. ET today, the Company will host a live conference call and streaming video webcast conducted by Chief Executive Officer Ron Johnson and Chief Financial Officer Ken Hannah. The event will include a formal slide presentation followed by a live question-and-answer session. The webcast will be available live on the Company’s investor relations website at http://ir.jcpenney.com. Replays of the webcast will be available for up to 90 days after the event. To access the conference call, please dial (866) 202-4683, or (617) 213-8846 for international callers, and reference 59362622 participant code. Telephone playback will be available for seven days beginning approximately two hours after the conclusion of the meeting by dialling (888) 286-8010, or (617) 801-6888 for international callers, and referencing 81990309 participant code.